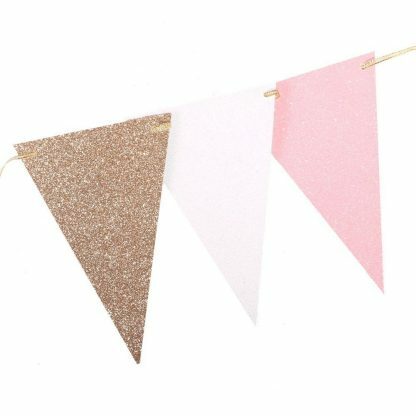 Vintage Mini Triangle Banner is the perfect banner to add that extra sparkle for any occasion. Flag measures 3.7″ wide and 5.5″ long. 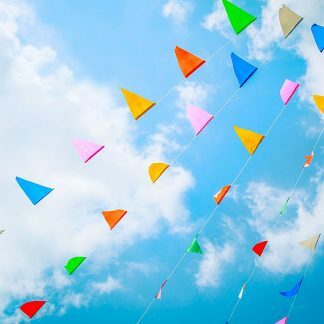 One strand of this flags measures 10ft long. Wonderful for wedding, baby shower, festival, anniversary, back-to-school party, bachelorette party, Valentine’s Day, Easter and much more occasion. Perfect decoration supplies for teepee and tent! 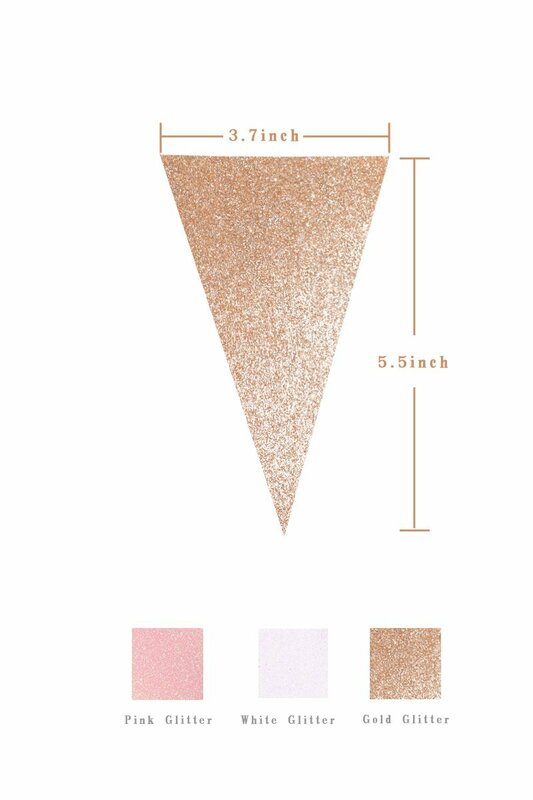 Ling’s moment upgrade version of gold+pink+white glitter triangle flag is only for 1 strand of 15 triangle pieces stitched together to be a garland banner which is approximately 10 feet long. 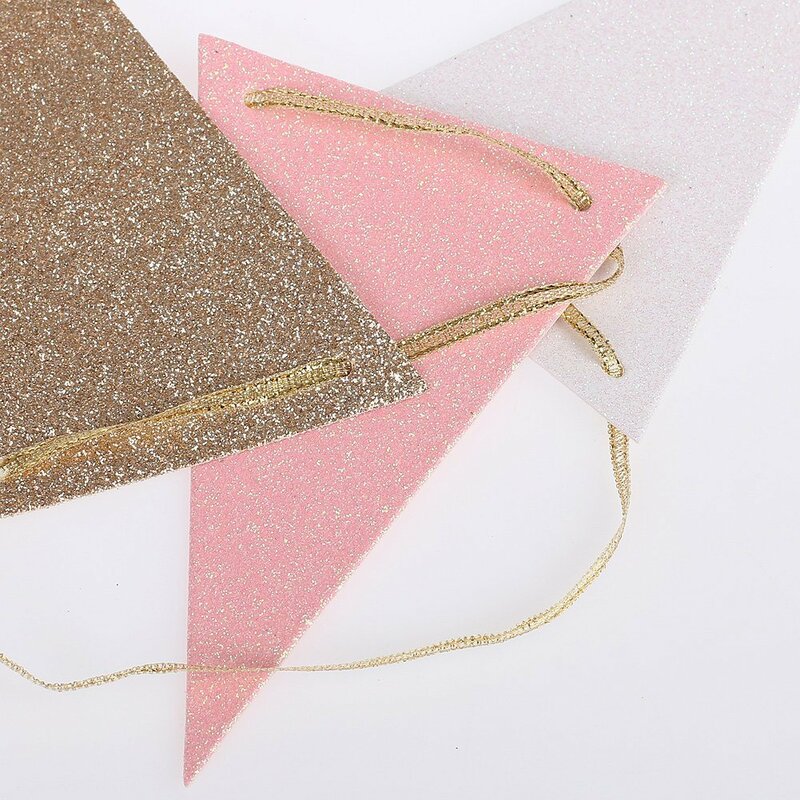 Each triangle pennant measures approximately 5.5″ by 3.7″, and it’s made from waterproof paper which was finished specially with beautiful SPARKLY GLITTER on TWO SIDES. Besides, the MIXED color will match the special occasion that you want. 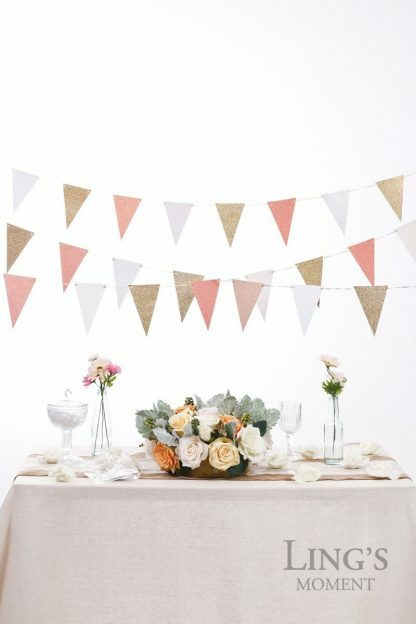 Whether it is for hanging at your wedding reception party as a decoration or you want to make some special chic spotlight at bridal shower or at bachelorette party, this banners will be perfect choice. 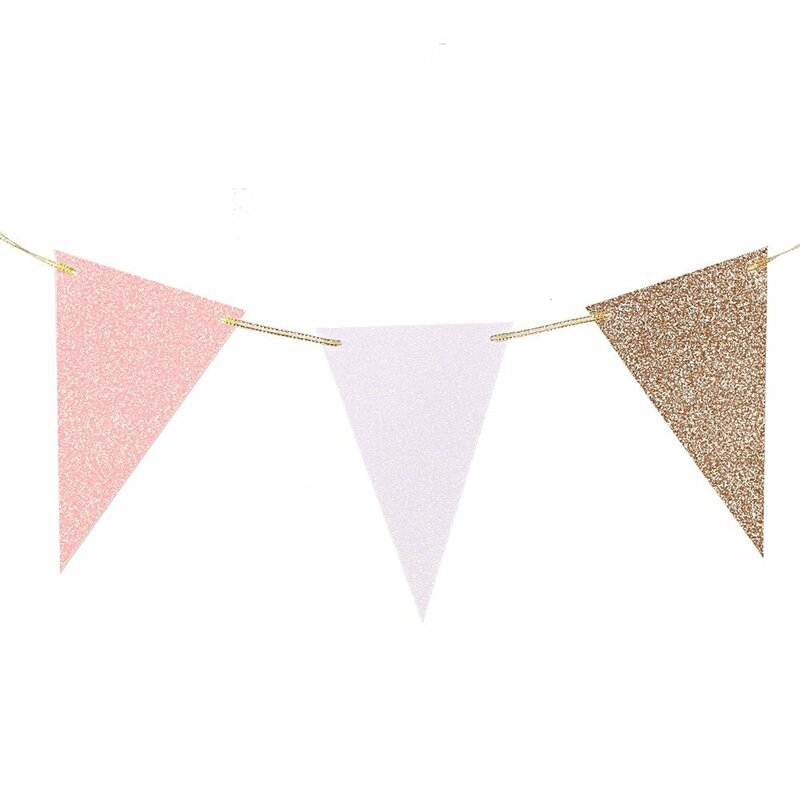 What’s more, you can even use this banner to decorate your sweet home across an archway or window, for baby shower decoration, in your baby’s nursery or little girl’s bedroom, cafe or restaurant. PLEASE NOTE: These series of triangle banners belongs to the UPGRADED VERSION of Ling’s moment! Besides, Each banner of different color was made out of SUPER-SPARKLE weatherproof GLITTER paper! After we had tested thousands of times, we finally found these sort of weatherproof GLITTER paper which can be surely no doubt defined NO GLITTER FALLING OFF GUARANTEED! 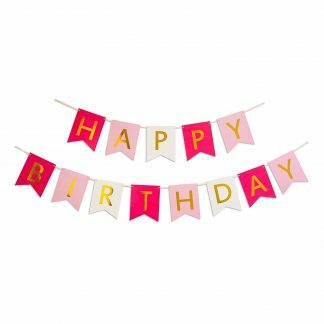 Above all, this banner will be safe for any occasion as you want, especially perfect for teepee and tent decoration!